Rule number one to get kids active through sports: Ask Kids What They Want. Who better to know their experiences than kids themselves? 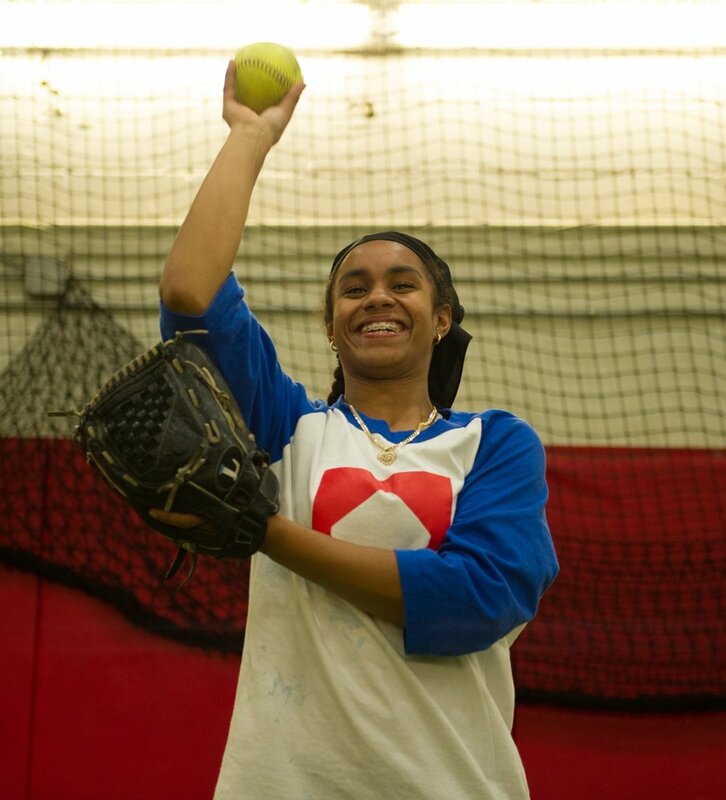 To mobilize around growing the quality and quantity of youth sports in East Harlem, youth must have a platform for their voices to be heard as a part of the decision-making process. Every kid has a story to tell, and that story can help to inspire positive change for leaders (young and old) to come together and develop key solutions for youth sports. In the forthcoming State of Play: Harlem report, the Aspen Institute interviewed five charismatic kids, each with a different experience of sports in the community and a passion for play. By her own admission, 10-year-old Weng Rui Tong is an accidental athlete. Until recently, the fourth-grader focused her creative energy on drawing and ballet. Her mom shuttles her to classes on Saturdays. “When I grow up,” she proclaimed, “I want to be an artist.” But an introduction to soccer in P.E. last year, at P.S. 83 Luis Munoz Rivera, has expanded Weng Rui’s horizons. “It takes a lot of practice, but it’s fun to play, and I’m learning how to dribble and pass,” she said. Weng Rui approaches sports with a healthy mix of competition and compassion. “In games, I find out who the best player is and figure out how to stop him,” she said. “I didn’t play with boys before. But I like to now because some of them are really good. They teach me.” But it’s a two-way process. “When they win and yell at the losers, I teach them how to be calm and kind. 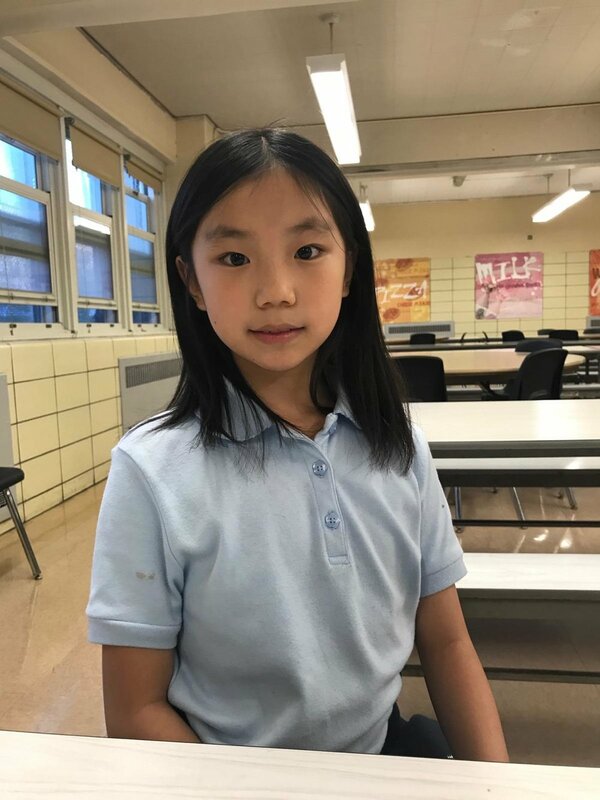 I tell them they wouldn’t feel good if other kids shouted at them when they lost.” Weng Rui, who lives in a small two-bedroom apartment in East Harlem, said she loves all outdoor activities. She’s a member of the Concrete Safaris after-school program at P.S. 83. They do homework and take field trips, like group bike rides to Randall’s Island. As with all kids her age, Weng Rui also craves family connection. Ever since she started learning soccer, she goes on Sundays with her dad and little brother to Central Park, where they can practice on a grass field. “It’s great fun because I get to have time with my family and teach moves to my little brother,” she said. It’s clear that art and sport have merged for Weng Rui, who is working on Supergirl sketches with a group of female classmates in art class. Weng Rui’s favorite hero is, of course, Wonder Woman. “I like that she has the braveness to do what she wants to do,” she said. Which stands to reason, since little Weng Rui is, herself, a role model of courage, curiosity and determination. Ishan Burra is the quintessential multisport kid: a fun-loving second-grader who plays soccer, cricket, basketball, baseball, tennis and volleyball whenever and wherever he can. He’s had some exposure to organized baseball and tennis, but the one structured sport he enjoys most these days is soccer. His New York Soccer Stars team practices on Fridays and plays games on Saturdays. Like most kids his age, Ishan’s number one priority is to have fun. “I like to practice and learn,” he said. “But I like playing better. I just love running around and playing games.” The loosely structured play he and his schoolmates engage in at recess and after school — they play soccer and basketball — on River East Elementary School’s turf field and in the school’s concrete yard, is what he relishes most. Space issues in East Harlem have tempered Ishan’s athletic explorations. “Space is the biggest problem,” he said. But he has found ways to adapt to his constricted surroundings. In fact, Ishan — whose favorite school subjects are science and math (which he works on with his mathematician/engineer dad) — has a knack for problem-solving. “We don’t have a volleyball court near where I live. So we use the monkey bars in the exercise space at Thomas Jefferson Park playground as our net. There’s no wicket to play cricket either. But I practice with the ball and bat in my apartment and play for real when we go to India to visit family. With my friends, we play rugby with a football next to the benches in our community garden.” Ishan hopes more play space can be created in his neighborhood for sports activities. “Maybe a construction worker could build another soccer field,” he said. “And they could take out part of the exercise space and use it to make a volleyball court.” Until then, he’ll adapt and have fun wherever the next game breaks out. Sports don’t have much allure for Amber Bros, who is a self-proclaimed homebody. That makes sense, given the fifth-grader’s past experience with games. “Every time we play in gym, everybody ends up yelling, ‘You’re a cheater!’ They argue and the game is over.” During recess at PS/MS7 in East Harlem, Amber navigates the pickup soccer and basketball games that break out around her warily. “I don’t like playing much,” she proclaimed. “I’m scared I’ll get hit by a ball. Even when I’m not playing I get hit. Me and my friend, we walk on the track instead. We call it our ‘walk and talk.’” Amber’s exposure to sports has been minimal. She’s played a little kickball. “I’m not that good at kicking,” she confessed. “People said I do baby kicks. But I had these boots with heels on, and when I kicked it wouldn’t work.” She is happiest at home, where she plays with her 3-year-old brother, draws and plays video games. “I’m a really good drawer,” she said. “My friend taught me how to draw the Powerpuff Girls. Bubbles is my favorite.” Amber also likes to watch television. If she’s with her dad, she may watch a little sports. “Baseball with my dad,” she said. But drawing and crafts are her favorite activities. The one form of physical activity Amber loves is dance. At home she plays Nintendo Wii’s Just Dance game with her sister. And at school she participates in the National Dance Institute’s weekly dance program. “That’s my kind of exercise!” she exclaimed. Asked what she would do if she could choose any activity at all for gym, Amber smiles mischievously. “I’d have a little dome to be inside where I could draw and not get hit.” That makes perfect sense, since Amber wants to be a designer when she grows up.